Bram Salomons survived the Second World War and almost two years imprisonment in concentration camps together with his wife and his four children. In those years they were greatly helped by the Swiss family of Bram’s wife who did everything possible to save the lives of their endangered kinsmen. Bram's brothers and sisters and their families were all killed, like so many of the Dutch Jews. 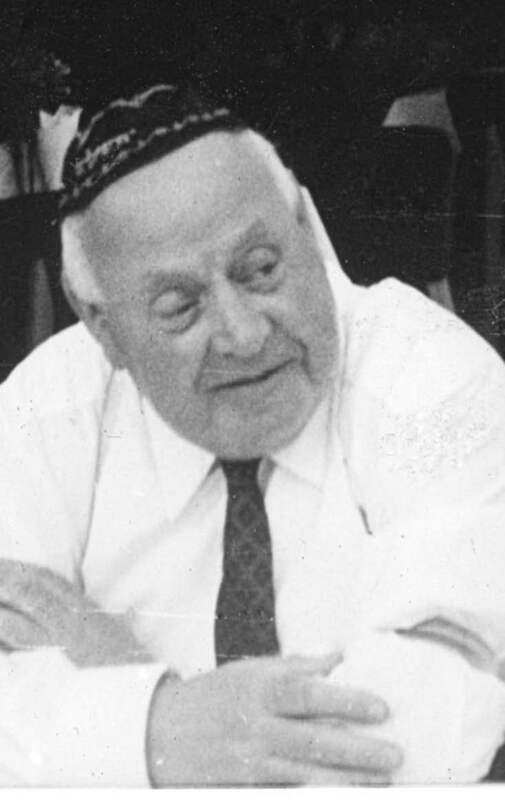 After the war Bram Salomons worked again for the Amsterdam Jewish community, at first as a secretary of the Amsterdam rabbinate, thereafter as leader of Tikvatenu, the newly founded youth department of the Orthodox community. After the war he again often served as a chazzan, especially at the small and characteristic Gerard Doustraat synagogue, where the Amsterdam nusach and nigunim are still being kept alive, for a great part owing to Bram Salomons' unwavering activity during his life. Many of the younger generation remember Bram as “Dikke Sjloume”. He got this nickname after his father Simon, who was called Sjloume. The recordings were made in the period 1970-1975. What is striking is that he sings very slowly on the recordings. Maybe this was for didactic reasons, but it probably also had to do with the fact that in those years, almost 80, he was at the end of his strength. 80 was very old at that time. This slow singing is in contrast to the speed with which he led real services, which he is still known for in the Gerard Dou synagogue. Unfortunately, the quality of the straps is not always good; some parts are almost completely lost. For the time being, we only publish the recordings with a short summary of contents, as written on the tapes. Full Indexation will follow later. tape 12a various Yom tov. Most of 12a and all of 12b are not recorded. When indexing, it became clear that when the master tapes were copied to cassettes, the order was not kept. e.g. tape 1a should be followed by tape 2a, not by 21b. In the tables below this is corrected.